For a trickle of Korean Won, we could peer through fixed telescopes and look into North Korea. 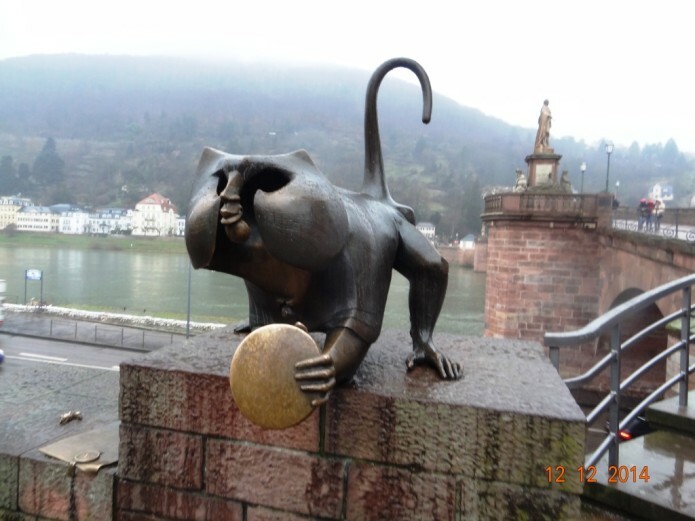 To the clank of the coin settling into the metal box, I peered on. Blue skies. An occasional soldier. Green mountains, and fluttering birds. It could have been some nature reserve. But I was standing at the Korean border at Imjingak and staring into North Korea. The Demilitarized Zone ( ‘Dee Emm Zee’) is a strip of land running across the Korean Peninsula separating the two Koreas. It is 250 kilometers long and 4 KM wide. With wire fences, watchful eyes and guns on either side its brought with it a side benefit. 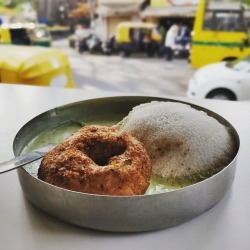 There are no apartment complexes, flyovers, malls with their attendant parking lots and the like. You get the picture, don’t you? Who doesn’t know the rampant poverty that ‘development’ ushers in the world over? The DMZ though is green and lush. Perhaps no other piece of green is as protected and watched by the rest of the world as much as this strip! Dark cloud, silver lining and all that. 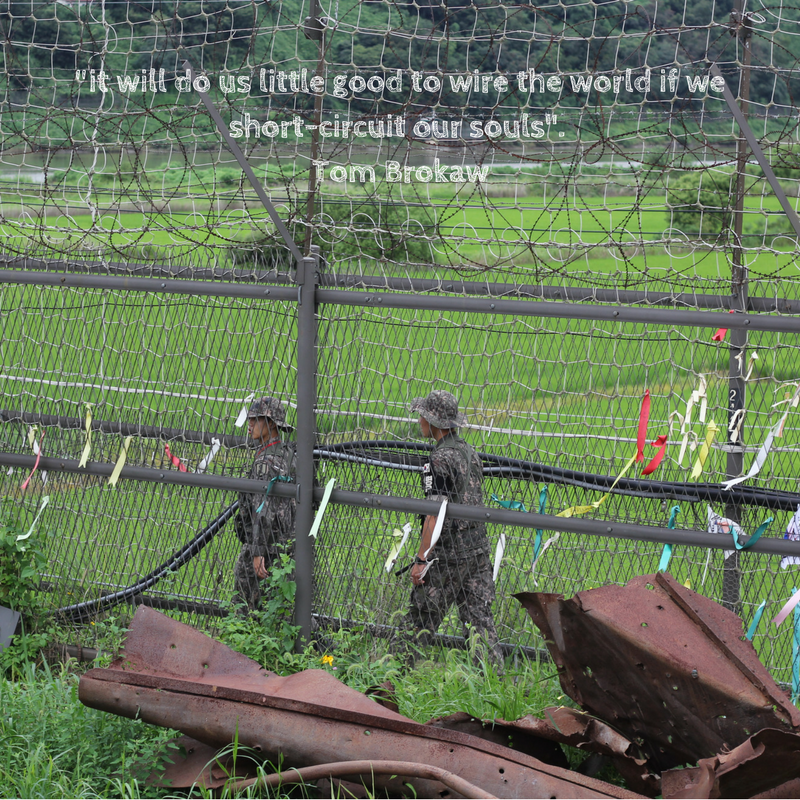 Beyond the Demilitarized Zone is one of the heaviest military presence. And heavier posturing perhaps. The posturing and the promise of war have given life to some of the most endangered species thriving. 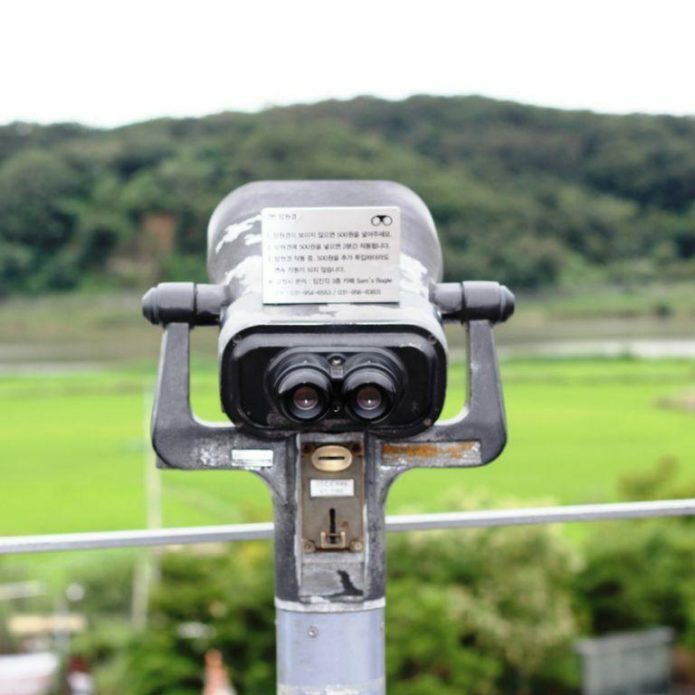 DMZ plays host to some of the most exotic and endangered species. Like cranes, leopards, tigers, and bears. Perhaps these species, have over the years, learned to live under the gaze of the guns in the air and landmines beneath their feet. That silver lining apart the DMZ is a dark area. It stands as a bright testimony to the limitless potential of human avarice, greed, and one-upmanship. The two Koreas have shouted at each other with loudspeakers ( actual loudspeakers belting out propaganda) across the border. They have tried to outdo each other building tall flag poles and sent balloons with leaflets across the DMZs. All these of course, when they weren’t busy staring each other down. Incredulous it seems. But from 1953, peace has reigned. By and large. 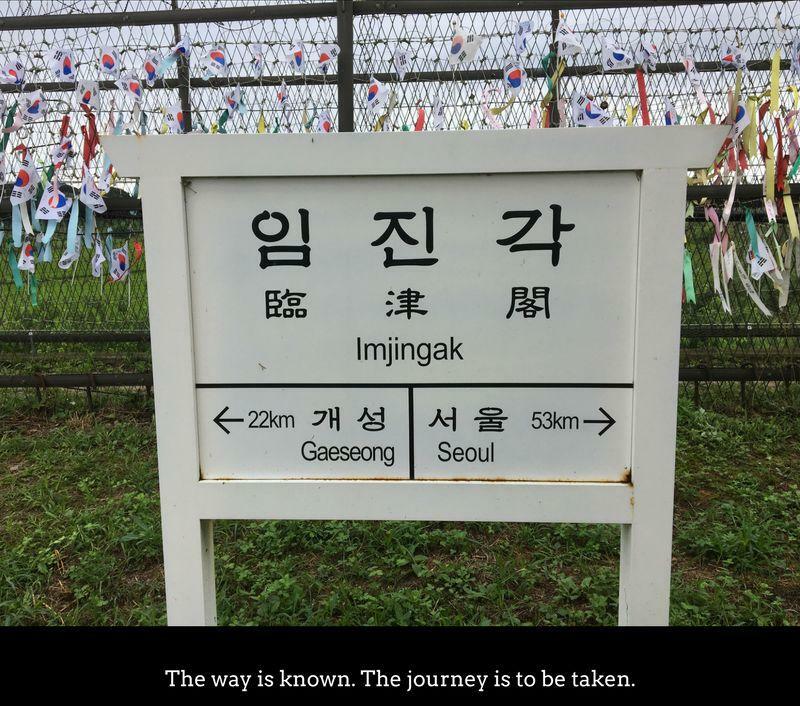 The Korean border at Imjingak which hosts the telescopes offers may a pointer. ‘Mangbaeddan‘ is one such. It’s an altar to pray for ancestors and their families. People from across South Korea whose origins were from somewhere in the North, come here to bow down. 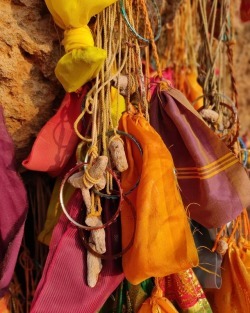 It’s a bowing down to their parents and ancestors as a sign of respect during new year and other important festivals. Parents who stayed back. Or could not be contacted. One whole country that is a black box. Not even a snail mail service. There is a plaque that captures the sentiment than my words can. “After 36 years of Japanese colonial era rule, our country was liberated on August 15, 1945, thanks to the sacrifices of service personnel who fought for the nation’s independence and for an end to the Second World War. Before celebration could break out, however, Korea was arbitrarily divided into north and south according to a unilateral decision on the part of larger powers regardless of the desire of our people. 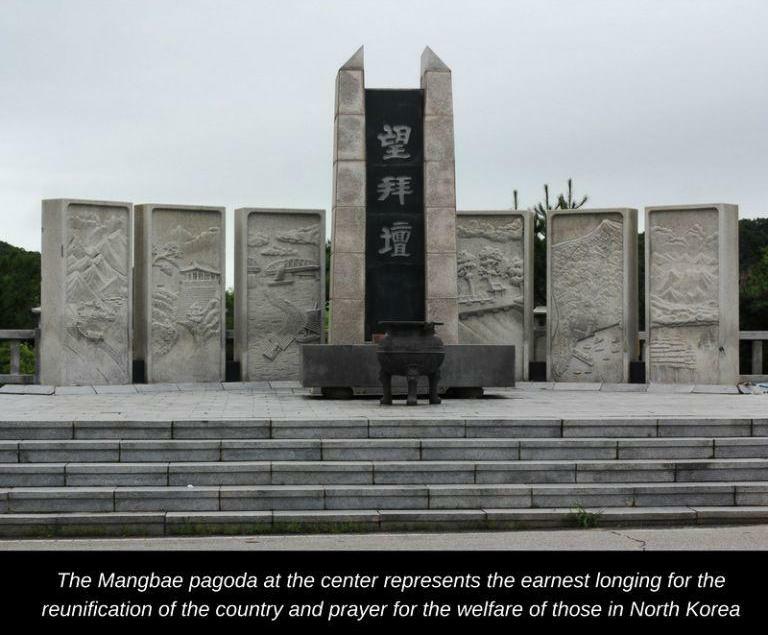 Mangbaeden is a permanent alter established by the government at a cost of 500 million won (supervision by the Ministry of Home Affairs 5 North Korean Provinces, execution: Paju Country Office ), at Imjingak, overlooking the lands of North Korea. A friend who was with us spoke with eloquence about her mom, who several years ago, had to be held back by border guards. As she dashed towards the border at Imjingak, sorely missing her mother who got left behind beyond the border. I listened to the story with a keen ear and a pounding heart. The cruelty that permeates several lives in the planet needed explanation beyond borders, flags, and territory. Madmen fire rockets and ramble from podiums around the world about destruction as though it were a lollipop. Even as the rest of us duck for cover, there are some who wonder if there is a silver lining somewhere.The dark clouds sprouting to the sky seem imminent. Costly, ghostly dark clouds. Will there be silver linings or will it too little, too late? Opinion is divided but hope springs eternal. 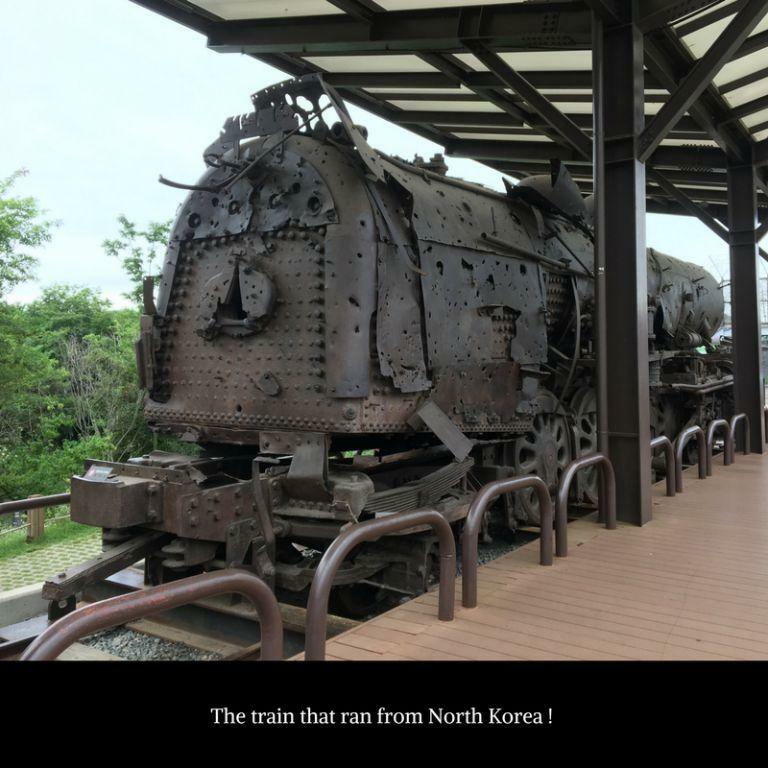 Nothing perhaps captures the tragedy of the separation more than the bullet-ridden testimony that the engine of a steam locomotive that plied between the North and the South. The tracks from that time remain. The station names call attention to the staid tracks and lost ways. The bullet holes stare with vapid eloquence amidst the cackle of tourists, selfie sticks, and cameras. Somewhere in between the point of all suffering seems distant and removed from the priorities of the present day. As I try to pack my memories from Imjingak into a neat stack, I realise they elude fitting in. They spring in different directions. The tears of separation and sadness seem to take away the sheen off the silver lining. That leaves me with a simple line and a dark cloud. Ever since visiting Imjingak, any image of leaders and armchair commentators waxing eloquence on twitter or from podiums gets me ever more present to what it is on the ground. The stories that are not told. Stories about living through separation and war. It is 2017 and the world has made serious progress in several dimensions from electric cars to space travel. But can there be a greater travesty that vast tracts of the human mind continue to let the future to be held prisoner by the mistakes of the past? Must not the imagination that has fuelled ‘progress’ also help us extricate us and co-create a better future? Even if it meant a slow, painful extrication? As I sat in silence at the Mangbaeddan, Tom Brokaw‘s commencement speech to the class of 2006 wafted in from memory. More than a decade old now, but has relevance. Here is one part of his speech. “So, welcome to a world of perpetual contradictions, welcome to a world of unintended consequences and unexpected realities. Welcome to a world in which war is not a video game, … in which genocide and ancient hatreds are not eliminated with a delete button. You won’t find the answer to global poverty in Tools or Help. You cannot fix the environment by hitting the Insert bar. You cannot take your place in the long line of those who came before you simply by sitting in front of a screen or at a keyboard. The pace of change in your lifetime is at warp speed. We live now on a smaller planet, with more people, many of them on the move these days in a desperate search for economic opportunity and political freedom, a world of ever-diminishing open spaces, disappearing natural resources, with great seismic shifts in political, economic and cultural power wherever you may be on this planet…..
We cannot ignore them, and as the last four years have demonstrated in tragic fashion, a military response is inadequate. If … hostility is not addressed in a more effective manner in the West, and in the Islamic world as well, we will live in a perpetual state of terror and rage on both sides of the equation. So a primary challenge of your time is to bank the fires of hostilities that are now burning out of control, to neutralize that hatred, to expedite not just global competition economically and politically, but also global understanding, and especially global opportunity. The full text is here. The context has shifted a bit. But the fundamental contradictions remain. Only exacerbated by a new crop of leaders who whose jingoism and sabre rattling divides people even further. 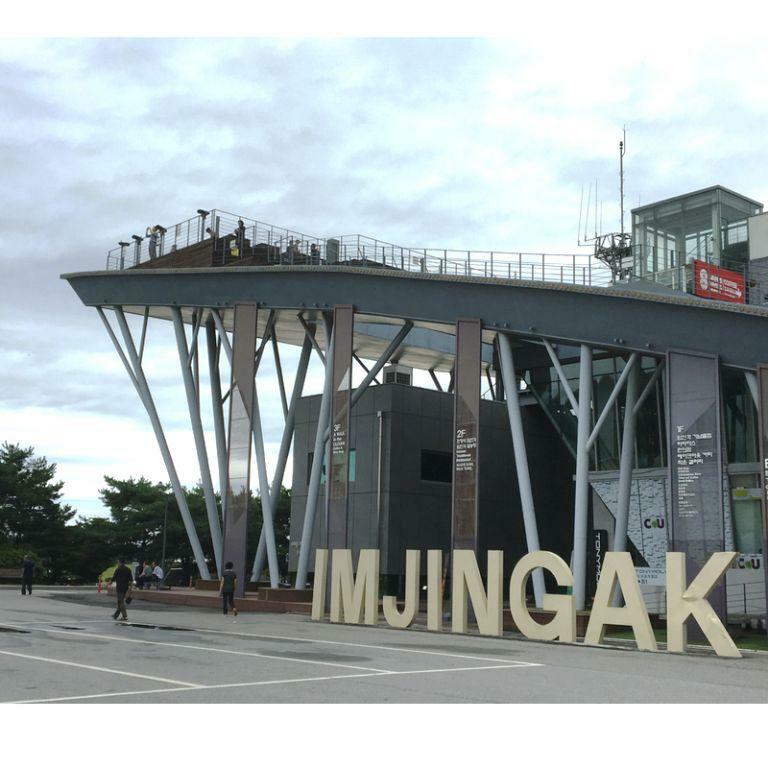 Imjingak is a reminder that we need to look beyond the narratives that the unreasonable madness in the political leadership of the modern day. We need to search for and connect to a deeper humanity in each other. Cliched it may sound. There aren’t easy solutions. But the absence easy solutions must not get us lean towards letting the dark clouds loom from the ground. We still have several silver linings today. The capabilities that are present in us to operate from ‘imagination’ is one such. Perhaps we could start there. Many call emperor Shah Jahan a mad man. 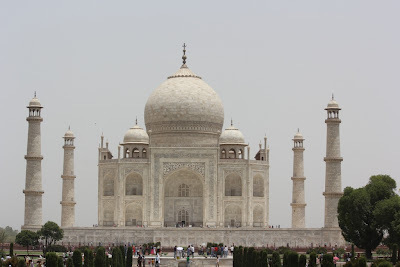 To have built such wonderous a monument like the Taj. And I would agree. Not only did he build such a monument of magnificence, for several years he has had families like mine, visiting this place in the dead heat of summer! And still left shaking their heads with disbelief at the scale, splendour and the sheer magnificence of the place. 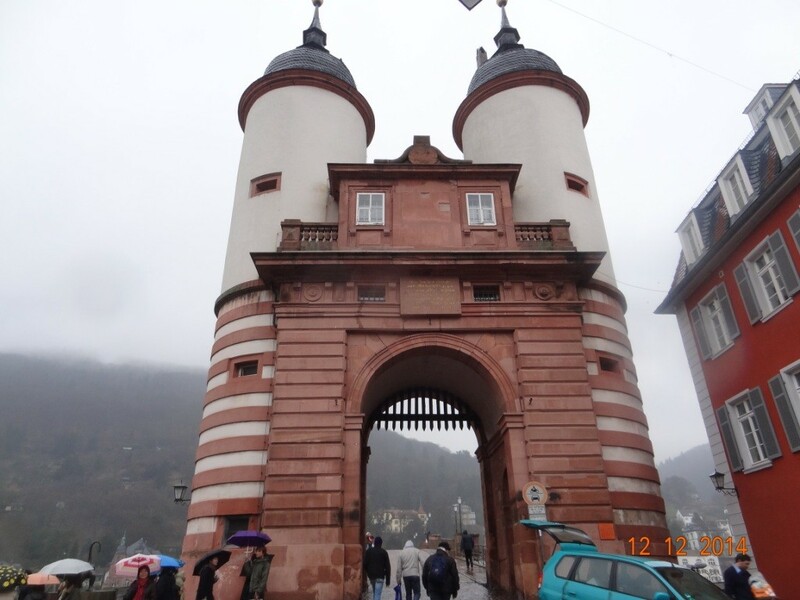 The fact that it is still standing after some 380 odd years ( and earrning money for the government and many others, is another aspect altogether). 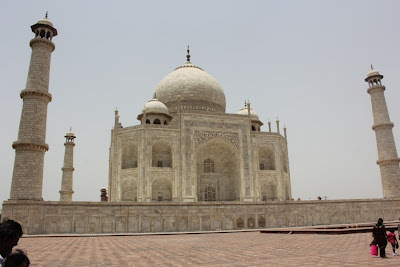 His love for his wife Mumtaz Mahal and her death (while bearing his 14th child) brought him to build this monument. As far as I can recall, my history books didn’t talk of his post Mumtaz marriages. But apparently he did and was still a disappointed man. Bollywood, tollywood, kollywood and such other ‘woods’ have woven the mystique of love into countless songs . Poets have sighed over its splendour while crafting wily lines of love, longing and such else. Presidents of the world, some of them after signing arms deals with the government, have had photographs of themselves and their companions taken at the Taj. Striking poignant poses , sitting on whats come to be known as ‘Lady Di’s chair’ named after Princess Diana ( sitting alone) ! 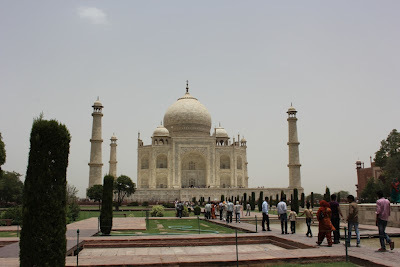 Our guide told us of Shah Jehans plans to build a replica of the Taj adjacent to the current one, in black marble. He told us as though the Mughal emperor had summoned him to his private chambers and whispered his desire in his ear. Going on to narrate a story of Aurangazebs cruelty and Shah Jehan’s forlorn lost last days. It was happening in real time : melodrama spiking history big time in present continuous tense ! The Taj itself is a fantastic monument. We visited in blinding daylight. 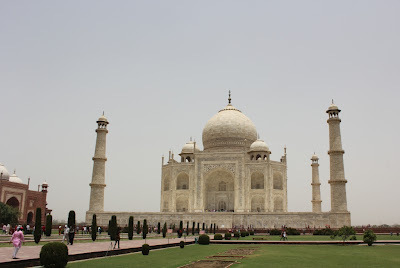 The moonlit Taj we were told was far more resplendent. As an afterthought, it was mentioned, the fees for moonlit viewing were different. Obviously it’s a ‘must see’. 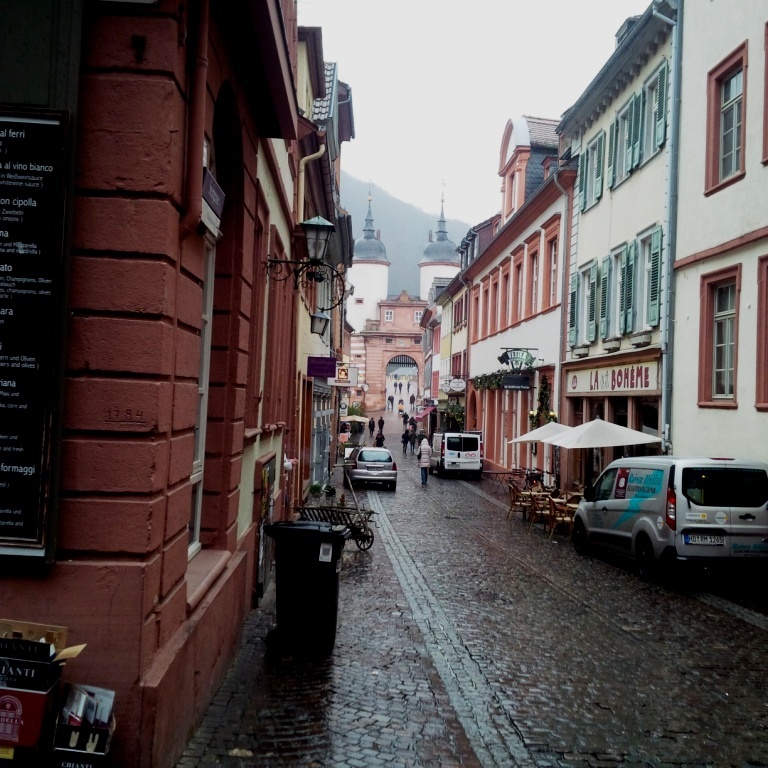 It’s a place teeming with security and a global melting pot of people. All trudging in to see the’ monument of love’. Every visitor has lasting memories of this place. Every visit has left me with a memory or two. This one was when about half a dozen people at varying lengths in time, walked upto me, seeing the camera, the camera bag et al, and asked, ‘how much do you charge for a photograph’. Rarely do I feel impressed with my amateurish dabbling with the camera. This moment was one such. Kalarippayattu. That’s an ancient martial art form of the south. Kerala to be specific. It’s a fetching sight to see these fighters with bodies of gymnasts move with such agility and panache. With just a dash of imagination and a sprinkling of a story, any onlooker could well imagine how revered and soakingly absorbing a duel would have been just a few hundred years ago. Oh, not to say a modern duel isn’t a sight to stop, hold your breath and stare in semi open mouthed awe, long enough for a few large mosquitoes to conduct a few sorties down the alimentary canal. More often than not, such goose bump causing art forms remain in the obscure confines of the past. 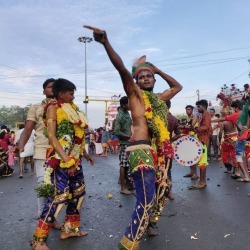 A trip to Kerala and a stay in a hotel at ‘attractive prices per night’ (which would be equivalent to what your father would have paid to buy the entire property, when he was your age), usually throw in a cultural performance or two. Even better when the Company that pays your salary also pays for the trip and the room, in the name of a conference, harbouring extravagant hopes that such investments will pay off. 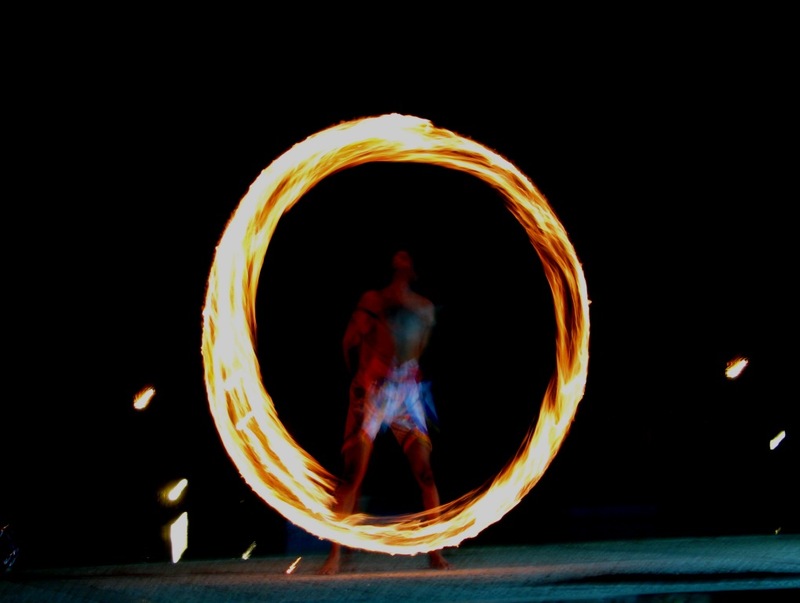 In such cases, a hotel gladly throwing in ‘exposure to culture’ performances is de rigueur. Kalari quite a popular performance. There are jumps. Fights with bare hands. Sticks. Fire. And several else. These are new techniques for the coporate types who are used to used to one martial art form called ‘Powerpoint’. Which ofcourse comes loaded with ‘bullet’ points! If the bullets don’t get you, boredom will. In such Kalari performances though, young men spar on stage. Synchronised movement, overflowing with synergy. With swords, shields, some kind of a flexible sword, sticks, daggers and such else, with seamless movement. Like in the snap above, a fire bush at the end of the a rope fastened to the chest is used as weapon. 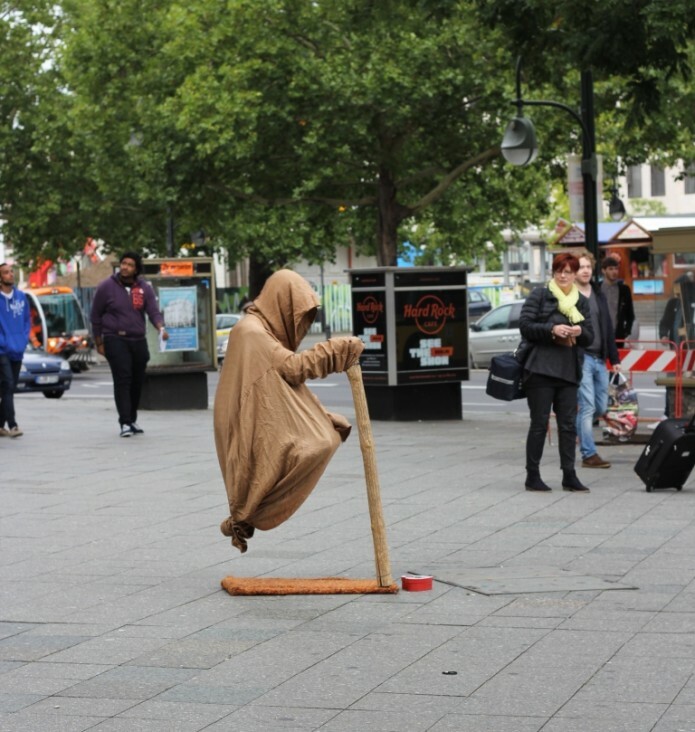 Artfully swinging and moving about. The corporate types usually look half in awe. Cheer in slightly inebriated delusion. Bite into the chicken with new found gusto and take a few more swigs of whatever drink their hands reach out to. Ofcourse there is the mandatory crowd of American tourists. Their skin standing out amongst the crowd and their hair standing out on their skin. Staring. If I were them, I would wonder what all this fuss with Kalarippayattu and sparring with swords and building bodies and muscles was about. When all it took was a walk down the store and buy a .32 magnum and blow the brains off every living form in the locality. Incase you are yet to look up Kalari, here is the link. Incase you still haven’t, it is a martial art form that’s been around for ages.It was banned by the British. At one point in history, it was as common as ‘reading and writing’ and everybody in society was proficient in it. Incase you are still wondering, what brings this post up now, I am back from another trip to a place that I have been in love with for ages : Kerala. Ofcourse, more posts & pictures follow. But, boy, am I pleased with this snap! There could be a corolla parked in the drive way or maybe its just a ramshackle of a Jugaad butting the head out of the front gate. But if the eyes that look at a place someplace in the deep south, the chances for a chap like this on the exterior wall of the house, is more than likely ! 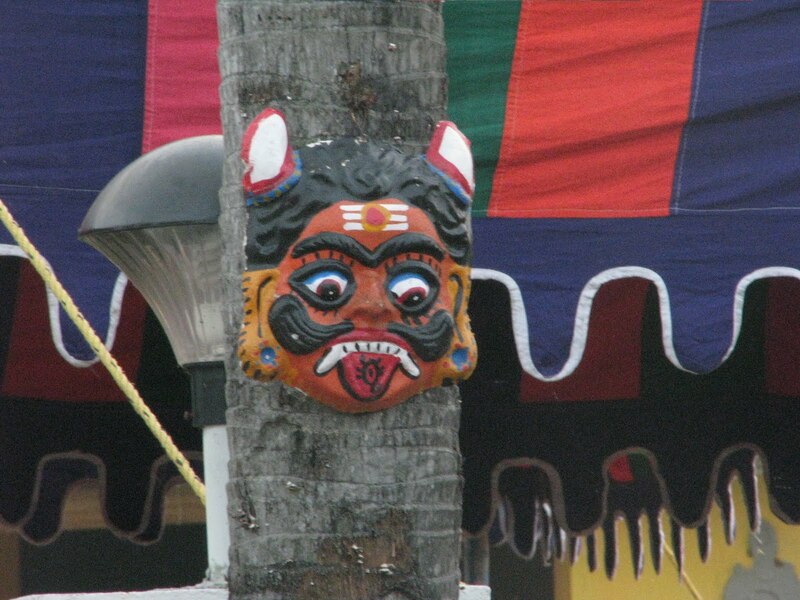 For ages, this chap has guarded the household against ‘Evil Eye’ ! So has it been told in the household that feeds this blog. The Evil Eye. Yeah yeah ! The negative energy that is generated by ‘neighbours envy’ (not necessarily restricted to the neighbour) of seeing another do well ! The potency of the negative energy that the ‘evil eye’ of the neighbour, runs thick and deep ! Big eyes. Think eye lashes. Eyebrows as large as a forehead. A handlebar moustache that would make any Harley or its owner shift feet in awe. Canine teeth that drive fear into a tiger. Sharp white horns that can excite a matador in Spain. A scorpion in the tongue http://premier-pharmacy.com/product-category/antiviral/ that a tattoo artist would be proud of ! Well laid out sparkling array of colours. Blue neck. Red face. Yellow forehead. Green ear lobes ! These chaps are supposed to be absorbers of the mall effects of bad thought. They sure look that part. And for sure look pretty impressive too. So, the next time you are in the South or at a Southerner’s place and you see this man on the wall, you would do well to remember the following. a. This is not a representative image of the man of the house . Atleast not physically. Though you may have reasons to imagine him so. b. You can let those big gasps of jealousy into the air. Looking at the chap’s ramshackle Jugaad or his designer underpants. He for sure thinks he is insured. By a big man with big eyes. Think eye lashes. Eyebrows as large as a forehead. And a handlebar moustache that would make any Harley or the owner shift feet in awe. 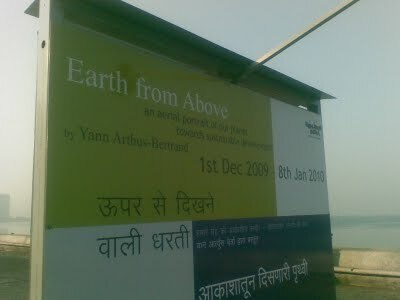 On Mumbai’s marine drive, theres an exhibition thats on. Awesome. Is the word. Its titled ‘ Earth from Above‘. A series of stunning photographs. A collage from up above. The setting is perfect too. With the Arabian sea on one side and a bustling army of cars, bikes and people to provide the contrast, on the other. Perfect time to look at the big picture. The pictures are work of a creative mind at its best. Talking of creative human minds, there is more to be done. Whatever are those scientist folks doing ? With all those gadgets and goatees that, whatever are they doing ? Especially, for cases like this one. Read on. An apartment complex that is home to a myriad set of people. Like…Hmm.. educated from the best of universities the world can offer. The best of designations the corporate world can conjure. Cars that can swallow the economy and bank accounts that seem perpetually overflowing. Computers that run the household and household helps who pay obeisance to the family dog. All in all, if this set of people were reduced to a single drop of petrol, they could keep an empty fuel tank power a world trip. Twice. That kind of power. You get the drift… ? That type of an apartment complex. And this was the announcement on the notice board ! Hope the scientist folks are still listening. They need to come up with several things for this apartment. But where do they start ? What work can science do, when common sense and basic sensitivity go on exile. Perhaps these are the signs of our times. A time for extremes. New frontiers get broken as new inventions hit the market at speeds that only the sun tries to compete with. 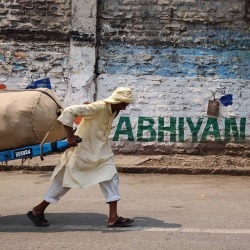 New markets get created, as existing land disappears. A time when the Internet brings us all closer even as we as people get divided further. A time, when those that coast in luxury are epitomes of ‘uncivil’ and the actions of the ‘educated’ take us back a few hundred years. A time where the beauty of the Earth from the sky is only contrasted by our actions on the ground ! Actions, that which we inflict on one another and on ourselves too. The opportunity to keep our Earth pristine is omnipresent. The choices are ours to make. 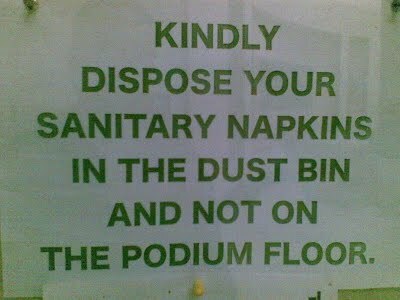 And in this apartment’s case, the choice starts with the dustbin ! The speaker moves his arms. Wavy gestures and air filled lungs pump enough volume to reach the far corners of the room. Examples are cited. The future is invoked. Questions are posed. Frameworks are discussed. There is a training program that’s on. The participants are all there. Physically at least. Their bodies too large to disappear into thin air. They are all there. Their thoughts are a different realm though. Nobody can say for sure where thoughts are. Like a cyclone that’s much hyped but didn’t turn up. Their hands are at work though. Heads almost hemmed to their notepads. Perhaps serving as the biggest of ‘motivators’ to the trainers and lecturers ! 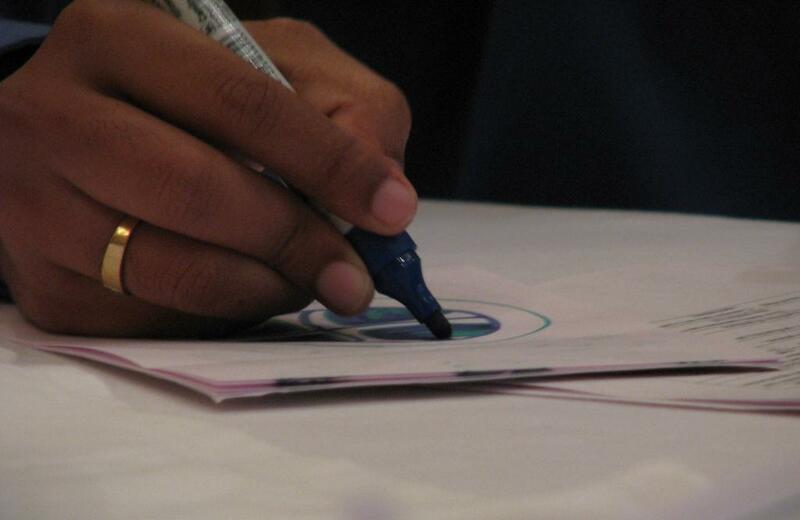 Construed as note taking, and such other activity of importance that adds to the self importance of the speaker. Of cows. Huts. 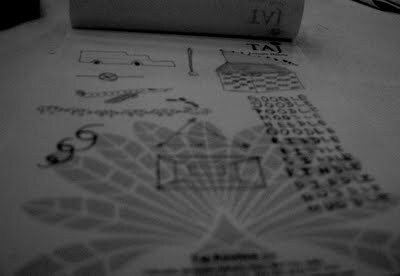 Planes. Ships. Faces. And the like. The cows could look like sheep whose harmone therapy went awry. And hut designs that could make a Pygmy cry. And that could be particularly ironic if the program was on something like ‘Getting it Right the first time” or something to that effect ! Perhaps not as ironic as having arrows and spears doodled all over, in a workshop while the junta is talking ‘Partnership’ ! At other times there are lines & shadings. Precise shading of intersections and empty spaces. Preciseness to the nano millimeter. That hitherto seemed capabilities that rested with American missiles that were launched from ships, traversing two seas and many mountain ranges to hit the hidden commode of secret toilets of Osama Bin Laden and gang. Such impeccable designs. 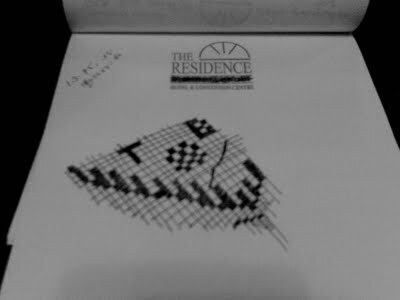 Sketched with such intensity and effort. Have you wondered why ? Something seems to be at work here. A natural by product of sitting in a lecture or a training program. Perhaps its about camouflage. Of pretense. Pretending to be attending, but actually away ! But why would students & participants take all the effort to draw such impeccable cows ( with hormonal treatment going awry ) and arrows & straight lines that could be used to teach geometry to infants. There must be some research done on this. Perhaps its all about the mind. Perhaps it helps shade a few shapes. And shape a few shades. Or maybe its to sharpen whats faded. Or fade whats sharpened. Contrasts. Colours. And the like. . Which perhaps is what one can get out of a training ! Whatsay ? Doodles seem to be here to stay ! Art & blurring borders ! Kamal put this up on his blog, and introduced me this video & ‘hip-hop’. It was quite interesting to watch it and the verses in Tamil did make a lot of sense ! Quite liked the end ! I was more taken in by the mesh of old world Ilayaraja’s tunes along with a uniquely western (US) culture setting, shot in Malaysia, with a dialect that is common to South Tamil Nadu ! And uniquely appealing to a multitude of audiences ! 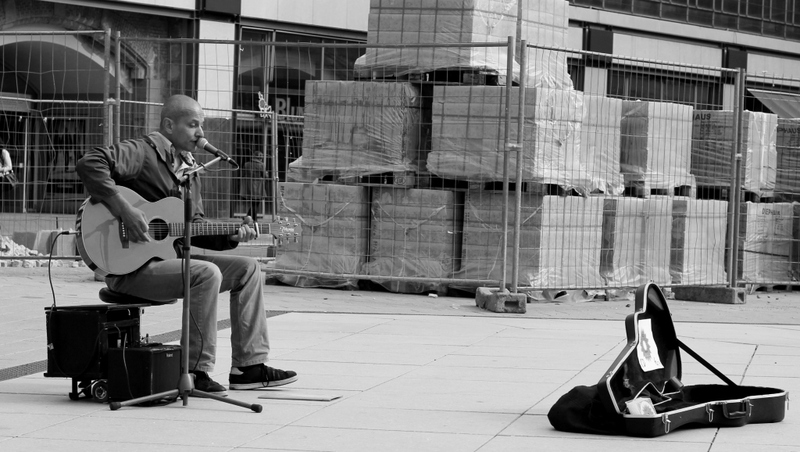 After all, there seems to be truth in the fact that music breaks barriers. breaking down of culture, where ‘pure’ music / culture is getting altered, influenced by a western mindset. To me, to stay with my pet theme of the season, i see this as an example of ‘blurring of the borders ! !’ The ‘alternate’ will grow. Along with the ‘pure’ !